"Cau ve cung Chua va Mo duoc bang an. Chung con se gap Cau..."
"Our sincere condolences to the family. May you find..."
PORTLAND - Sinh Do passed away peacefully, in his sleep, on Feb. 10, 2019, at home, surrounded by his family. He died at the age of 97. 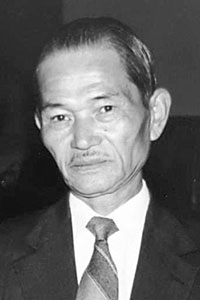 Sinh was born in Nam Dinh, Vietnam on June 4, 1921, the son of the late Do Van Khai and Do Thi Hue. Sinh married Nguyen Thi Loan (deceased in January 2002) for 69 years. Sinh was a policeman in Vietnam. He came to the U.S. in December 1992 and resided in Portland. He was a very devoted Roman Catholic parishioner at the Church of Saint Louis. He enjoyed gardening and cooking fried garlic chicken for his grandchildren and egg rolls for the folks at Harbor Terrace. Sinh leaves behind: oldest son, Dong and family of Portland, second son, Manh Tien and family of Pleiku Gia Lai, Vietnam, oldest daughter, Mai Hoa Lauzon and family of Buxton, youngest daughter, Mai-Lan Huynh and family of Springfield, Va.; nine grandchildren of the USA, four grandchildren of Vietnam; four great-grandchildren of the USA, three great-grandchildren of Vietnam.